The 2019 Motor City Open presented by the Suburban Collection opens will begin tomorrow-Tuesday, January 29, as eight of the world’s Top 20 lead a competitive field vying for the crown. The favourite will be defending champion and top seed Marwan El Shorbagy who defeated New Zealand’s Paul Coll in an epic five-setter last year. El Shorbagy is one of four former champions returning to the Birmingham Athletic Club for the 20th annual MCO. One person who will not be returning is Coll whose spot as #2 seed will now be filled by World #6 Miguel Rodriguez of Columbia. One of the most exciting players on tour, the relentless Rodriguez won the MCO in 2015. He lost in the semis last year to Egypt’s’ El Shorbagy. 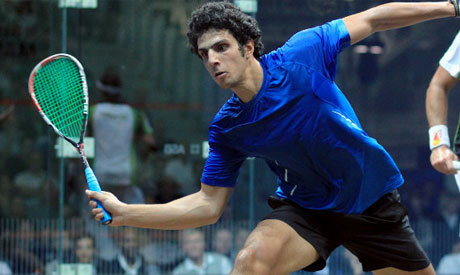 Egyptian Omar Mossad (World #17) occupies the seventh spot, and eight-seed Nicolas Mueller of Switzerland. Mueller, currently #18 in the world, has vaulted in the rankings since his narrow loss to Coll in the semi-finals here last year when he was ranked #27. Fifth seed Cuskelly who was a crowd favourite at the MCO will be seeking to recapture the magic of his 2017 win when he downed Ali Farag, rising World #1 and winner of last weekend’s Tournament of Champions in New York. Other notables in this year’s field include unseeded veteran Olli Tuominen of Finland who won the MCO title in 2007. First round play kicks off tomorrow-Tuesday at 4pm. The top eight seeds get a first-round bye and will be first in action in Wednesday’s Round of 16. Finals will be held Saturday, February 2 at 6.30 PM. 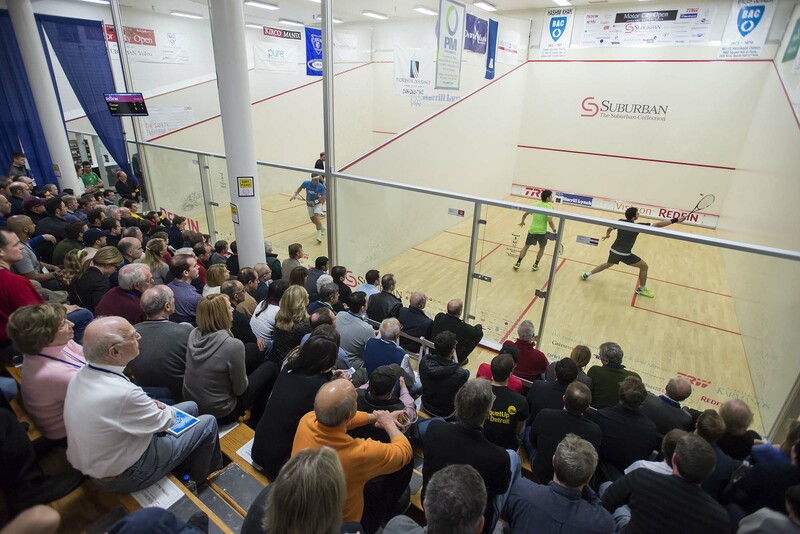 The MCO is the second-longest running pro squash tourney in the US. In addition to the top prize, the champion will take home a Longines watch from Greenstone’s Jewellers. 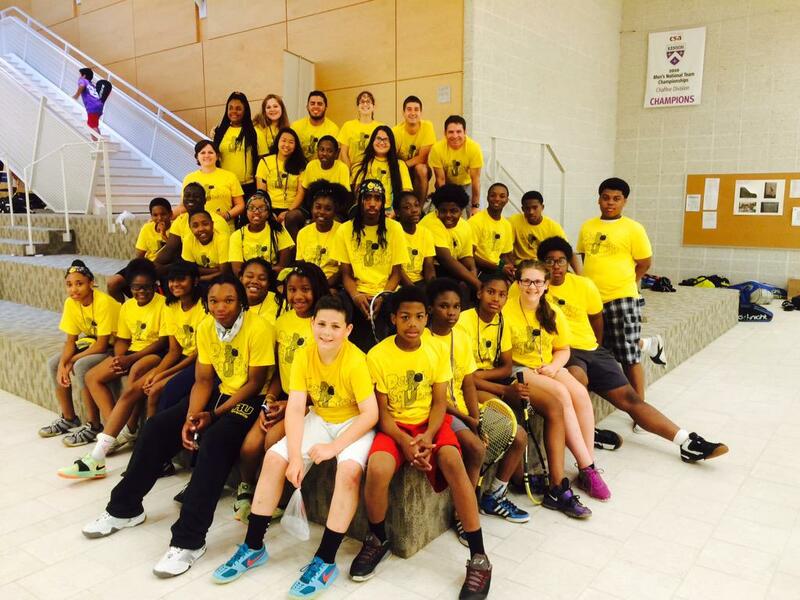 RUD is a youth development program that combines squash, mentoring, and community service. Racquet Up juniors will be among those participating in the MCO’s Junior Clinic where tourney pros coach young players from the greater-Detroit area and Windsor. First Round: Tuesday, Jan. 29, match starts scheduled 4 p.m. – 7 p.m.
Second Round: Wednesday, Jan. 30, 5 p.m. – 8 p.m.
Quarter Finals: Thursday, Jan. 31, 6:30 p.m. – 7.30 p.m.
Semi-Finals: Friday, Feb. 1, 6:30 p.m. – 7.30 p.m.